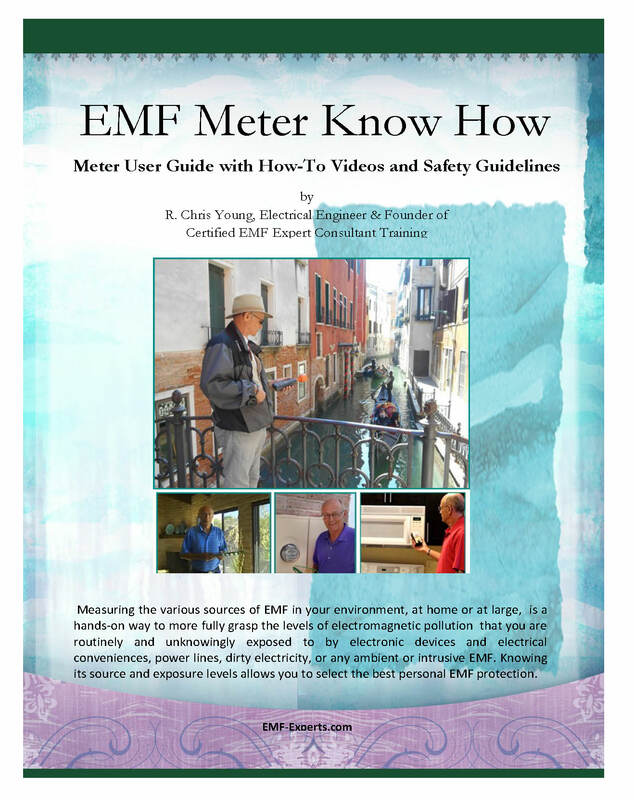 Your EMF Calculation can be confident and easier with this practical ebook to guide you through EMF measurements step by step, beginning with tips on obtaining the best meter for your individual situation, taking accurate meter readings, understanding and applying the EMF safety standard guidelines, and much more. 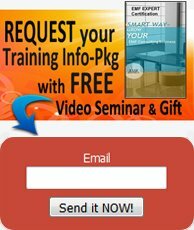 It will include hands-on how-to videos (numerous private tutorials via streaming video accessed by links included in the pdf ebook) as well as illustrative photographs. Written in everyday English, designed to enable real people to measure their home or office and uncover EMF safety issues, even the more complicated Electromagnetic issues are "interpreted" step by step from Engineer-Speak to everyday English to be less intimidating and more comprehensible, and this includes helpful see-and-do videos, images, illustrations. Here is the Table of Contents to give you a content overview. CHAPTER 2 What to Measure. CHAPTER 3 How to measure. 3.5 Self performed or contracted. CHAPTER 4 When to measure. 4.1 Day of the Week. 4.3 For Maximum or Minimum. 7.3 Prove Effectiveness of Remediation. 7.4 Locate Sources of EMF. 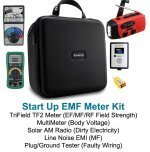 Included in the eBook are the sometimes daunting EMF Calculation, Conversion and Measurement Guidelines and EMF Safety Standards that are currently used today by EMF Professionals worldwide, but here you will find them designed to be user friendly and "interpreted" from Engineer-Speak to (easy to understand and follow) plain English. Secure your copy of this easy to follow guide for using the various EMF meters to measure the EMF you are exposed to in your environment, whether at home or at large. Becoming aware of the electro-pollution you are living with is the first step to taking appropriate and effective action to eliminate or at least reduce the threats to your health. This valuable eBook is one of the practical, hands-on, course texts that is key to our certification training. Currently being updated as a new edition to be published soon.